The global ink additives market was valued at $592.8 million in 2015 and is projected to reach $793.6 million by 2021, at a CAGR of 4.9% from 2016 and 2021. According to the report, additives that offer excellent performance characteristics at reduced costs and have a lower impact on the environment are expected to lead in the ink additives market. 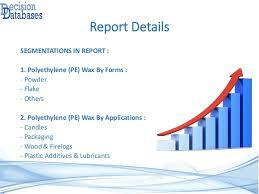 He continued, “Additives based on renewable resources have been introduced over the past several years. The challenge in this market is to maintain performance with renewable resourced raw materials without compromising performance or increasing cost to use. One of the challenges that Micro Powders’ Czarnecki sees developing is how to take existing technology and adapt it for the growing digital ink market, where micron-sized particles are way too big. “We will be exploring more products based on submicron particle technology to meet the demand for high performance additives in digital,” Czarnecki said. Global mergers and acquisitions presents a challenge in terms of the availability of raw materials and the waxes and additives market in general. Trauth said that these closures and consolidations by both suppliers and customers create a challenge for everyone to consistently find ways to improve and grow their business. Most manufacturers in this market agree that raw material costs are a concern moving forward through the end of 2017. Quinn said that the availability of certain synthetic polyolefin grades has been tight, forcing formulators to look at alternative polymers. “Raw material costs are expected to increase in the second quarter of 2017, driven by increasing monomer feedstocks for those polymers,” he said. Trauth pointed out that reduced capacity at refineries is a concern for the wax market and that recently, availability with some energy cure raw materials has been unpredictable. Grabacki noted that in the recent past, Keim Additec invested heavily in vertical integration. “Although we have not experienced any availability issues, we see an upward trend in the cost of some raw materials,” he said.